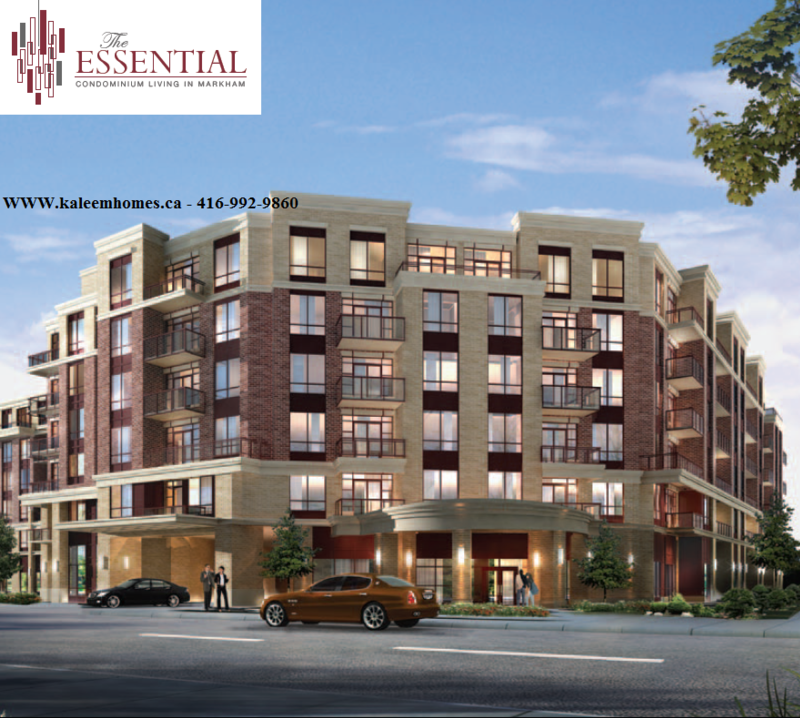 THE ESSENTIAL CONDOS GREAT OPPORTUNITY TO LIVE & INVEST IN MARKHAM!!! The Essential Condo is your new destination with new lifestyle and remarkable vision, the moment you arrive in you are greeted by your executive concierge and elegant entrance lobby graced by the serenity of a sparkling water feature. You can also enjoy a truly remarkable variety of amenities, from a fully equipped fitness room and a private golf simulator room to a prestigious private dining room, spacious party/multi-purpose room and a private media room for catching the latest film. Naturally, there is a guest suite as well as office space. Announcement: THE ESSENTIAL CONDO VIP Broker Preview on November 30 & December 1, 2011. Register with us to access prime units, Special VIP Broker pricing and incentives. 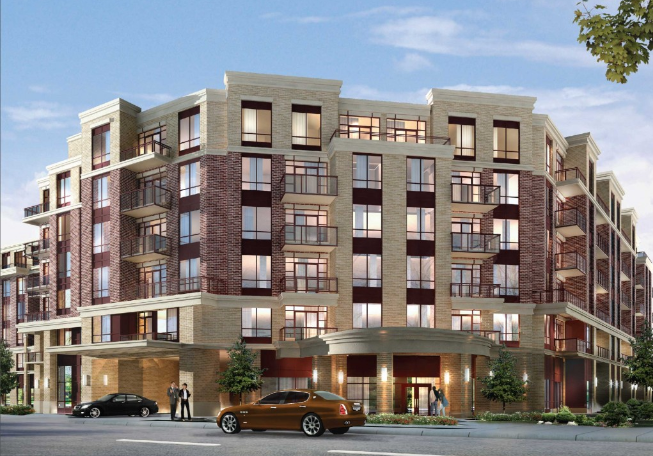 The Essentaial Condos Markham, Register now for VIP Broker Preview pricing and incentives. If interested Must Register as soon as possible using the attached form. Prime location Units are limited applications will be considered on first come first basis. 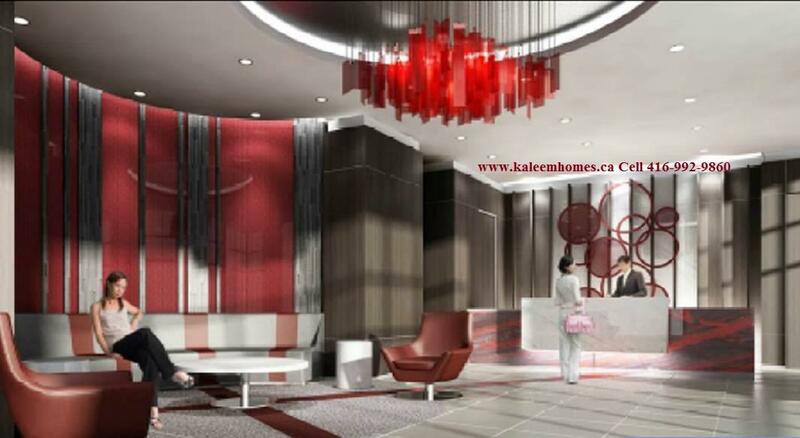 For more information about building features, Floor Plans and VIP price list Kaleem Salahuddin @ 416-992-9860. 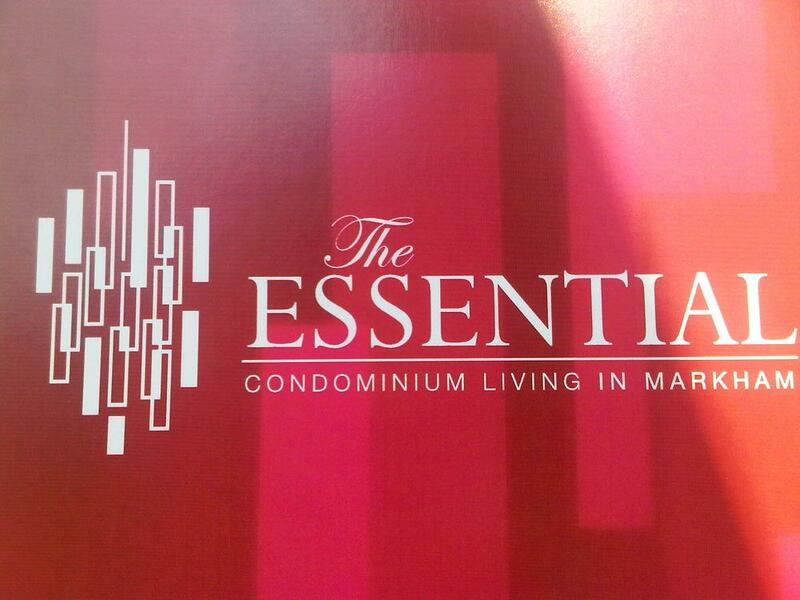 *THE ESSENTIAL CONDOS MARKHAM* GREAT VALUE AND INVESTMENT OPPORTUNITY IN MARKHAM!!! 9' ceilings ( approx.) in principal rooms. Selected suites features balconies and terraces as shown on plans. Your choice of contemporary or traditional style cabinets; selected suites with eating counter, islands and pantries as per floor plans. Stainless Steel Energy Star rated appliance package complete with upright fridge/freezer, slide-in range, under counter dishwasher and microwave oven with front panels. Stainless Steel undermount sink with single lever chrome faucet and pull-out spray. Your choice of porcelain or ceramic tile counter splash. Your choice of contemporary or traditional style cabinets. Cast acrylic countertops with integral basin and backsplash. Low flow, white ceramic water closet. White acrylic bathtub with chrome trim on all plumbing fixtures. Shower with molded acrylic base and ceramic tile walls. Glazed shower doors, shower rod and vanity mirror. Ceiling and vanity lights, under counter lighting. Party room featuring comfortable lounge area, adjacent catering kitchen facilities. Fully equipped Fitness Centre with state of the art aerobic and weight training areas,men's and women's change rooms with saunas. Rooftop patio with barbeque station, lounge areas and landscaped gardens. 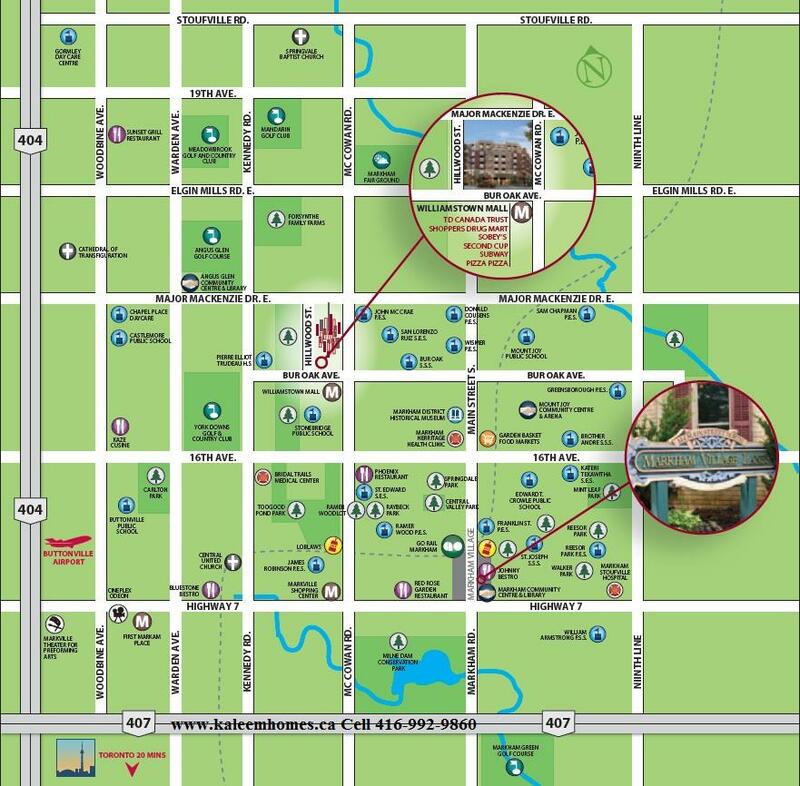 Move-in area with direct access to elevator for your convenience.
" Enterphone" system in lobby area to contact residents directly. Convienent card access for residents at common residents at area building entry points. Rough-in for stand-alone intrusion alarm on all suite doors.